Hi, it’s Alison here. 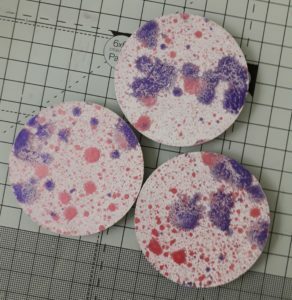 As Loti is releasing some brand new stamps I thought I would do a blog about how they can be used. 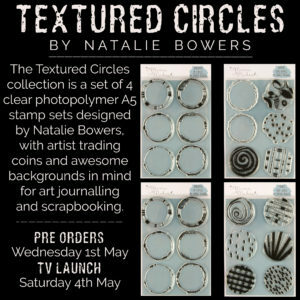 The stamps are called Textured Circles and have been designed by Natalie Bowers. 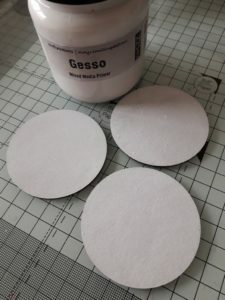 They are an ideal size for using on Artist Trading Coins or ATCoins. Stamps: Mama Makes – Textured Circles, Altenew – you make me happy, one of a mind and meadow flower. 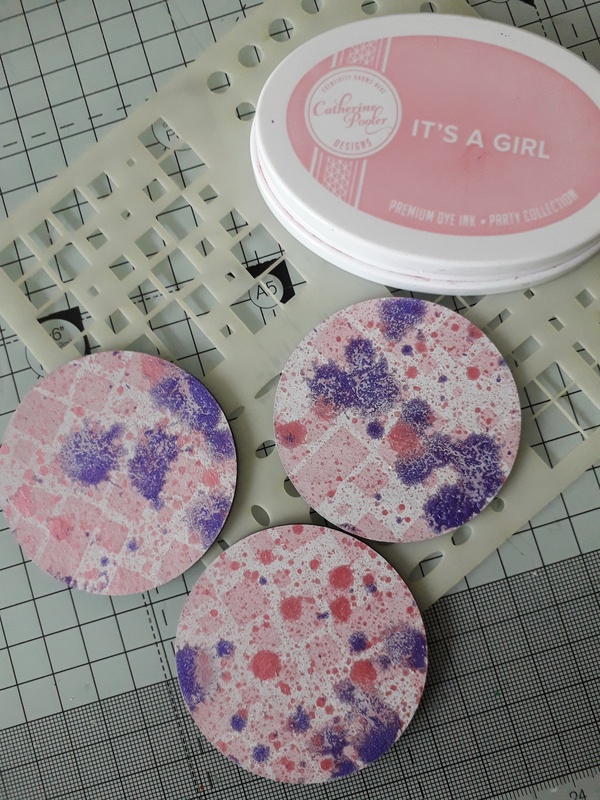 Paint/Ink: white gesso, Tonic Nuvo Mica Mist in Turkish Rose and Violet Lustre, Catherine Pooler – Its a Girl and Royal Treatment, Versafine onyx black. 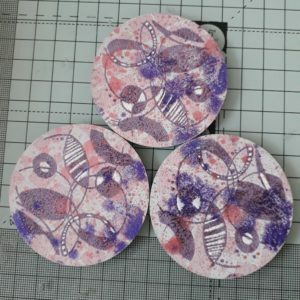 Stencil: Artisan Designs Squares 1. For this project I have taken three greyboard coins from That’s Crafty and painted them with white gesso and left them to dry. 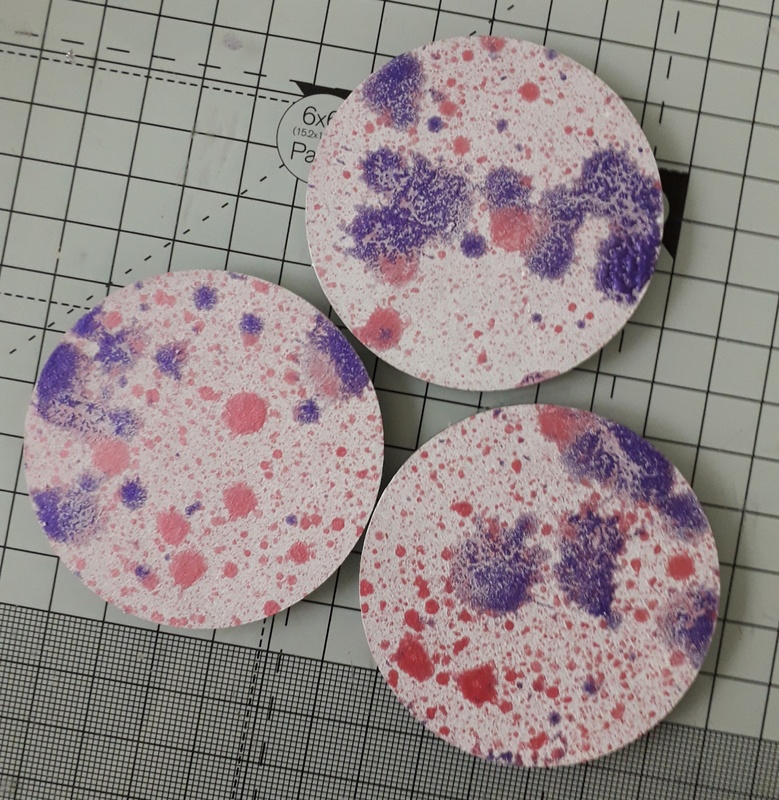 Next I lightly sprayed them with Tonic Nuvo Mica Mist in pink and purple and left this to dry. Then using one of the Artisan Designs Squares 1 stencils I applied a pale pink ink through it. 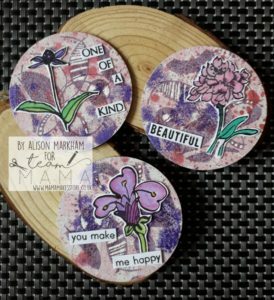 Using a dark purple ink I then stamped the Textured Circle stamp onto each coin and heat embossed with clear embossing powder. I highlighted some areas with a white gel pen. 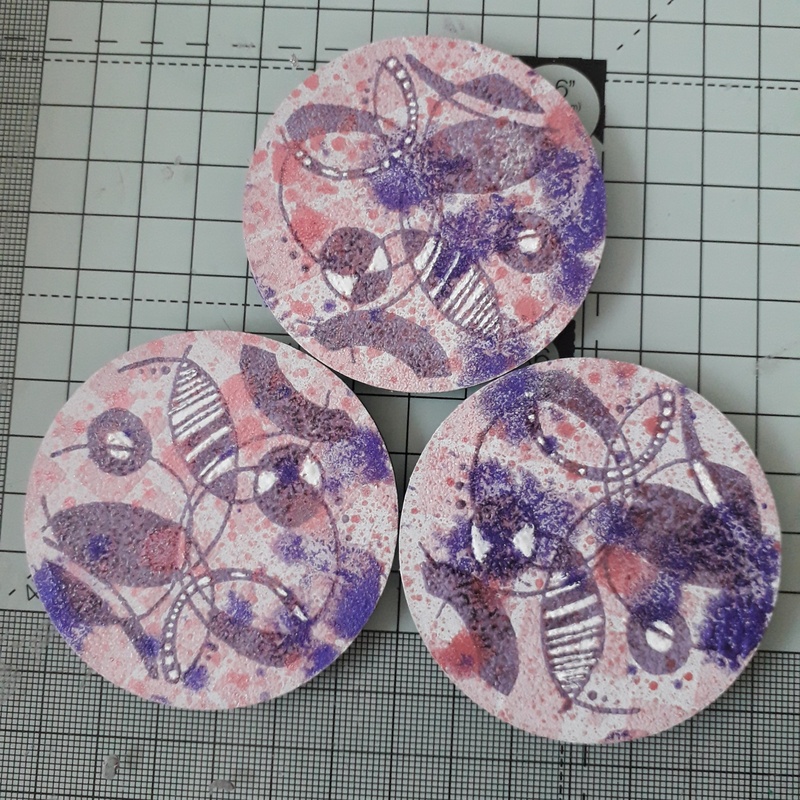 Finally I then chose three floral images from my stash and three sentiments and stamped these with Versafine onyx black ink. 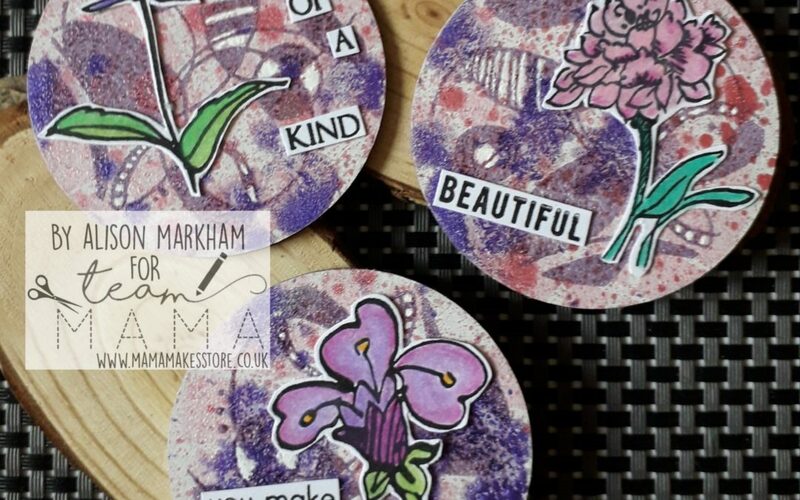 I coloured them with co-ordinating Prismacolor pencils and cut them out with a small white border and stuck them to my coins. 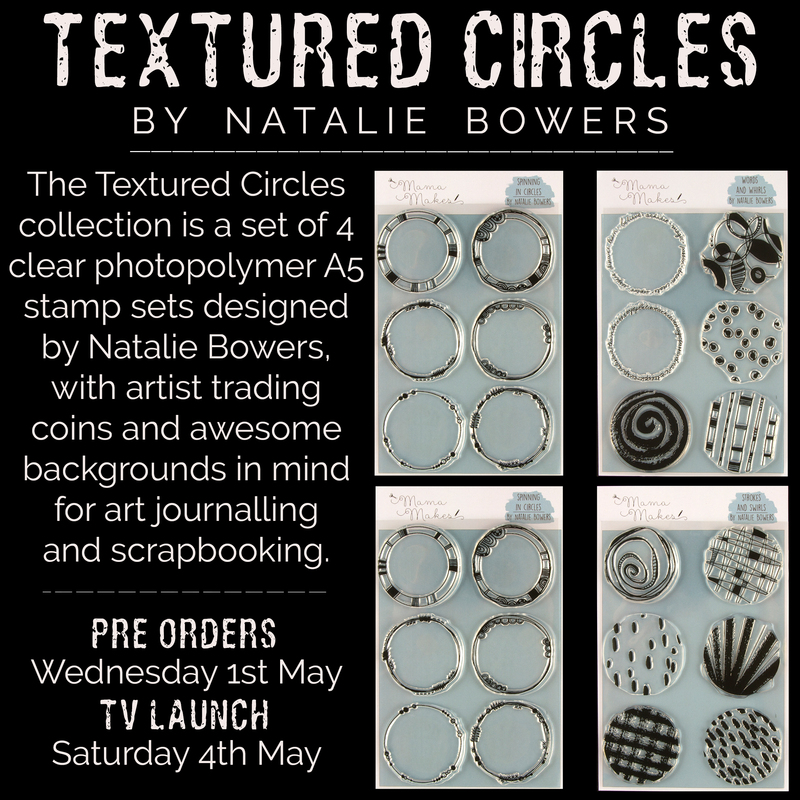 These stamps launch on Hochanda on 4th May and pre-orders can be made on www.mamamakesstore.co.uk from 1st May!